We are keenly interested in manufacturing and supplying PP Union Ball Valves. These are made of polypropylene which is a complete chemically inert material. Our Valves finds application in sprinkler irrigation and water treatment plants. Owing to the vast experience, we supply quality Plastic Union Type Ball Valve and PP Drip Irrigation Valves to ensure smooth leak free performance using best quality raw material. Union assembly ball valve is manufactured from polypropylene, a chemically inert thermoplastic. Union assembly ball valve is specially suited for drip irrigation system and sugar industries. On line maintenance possible in this ball valve as all internals can be replaced without removing the valve from the pipe-line. Union assembly ball valve contains no metal parts, failure due to corrosion eliminated. Widely used by chemical industries. Union assembly ball valve possess excellent ultraviolet resistivity due to presence of carbon black. Proper care taken for full strength and leakage proof manufacturing design. Hydraulically tested at 12kg. /cm². 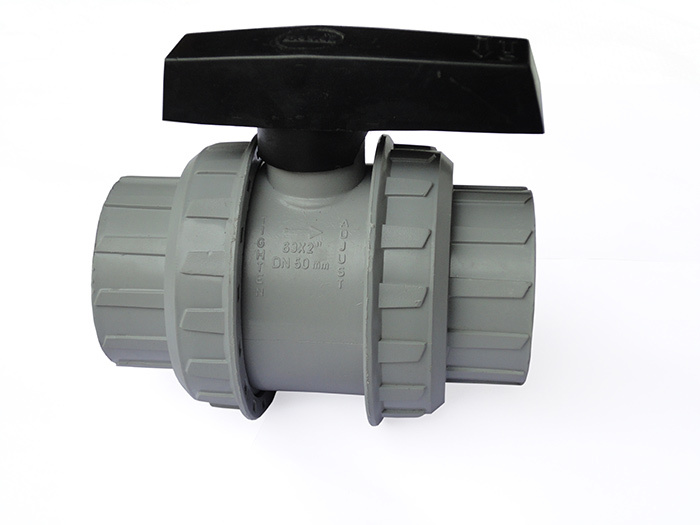 Union assembly ball valve is approved and used by many renewed drip irrigation manufacturers.